I recently read Chip and Dan Heath’s new book – Made To Stick and even interviewed Chip (nicest Stanford PhD I’ve ever met) for an upcoming segment of the Duct Tape Marketing podcast The subtitle of the book is “Why some ideas survive and other die”. 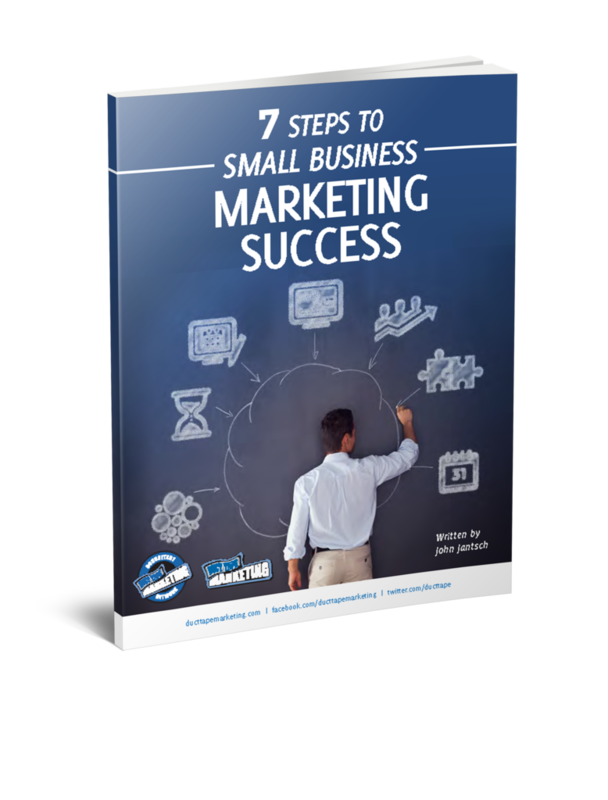 They may be a bit dramatic for your marketing ideas and messages but I think you can apply the notions uncovered in this book to many aspects in your business, including your core marketing message. Their book reveals 6 attributes that the stickiest ideas seem to have. The one that resonates with the marketing me the most is simple. I think getting things simple without simply dumbing them down is an art and takes work. I’ve always loved the quote I’ve heard attributed to Mark Twain – “I would have written a shorter letter if I would have more time.” Entrepreneurs, heck business people in general, suffer from too much information and sometimes the wrong information about their products and services. This makes it hard to communicate the one thing anyone should care about, but that’s the ultimate marketing challenge. Get Made to Stick (it features a stunning use of Duct Tape on the cover – good year for books with Duct Tape themes I guess) and start rethinking the ideas and messages you have – think simple.